I like to refer to New Horizons as "The First Mission to the Last Planet." Of course, that isn't true - Pluto isn't the last planet at all - it's just the last one recognized by most textbooks. Most planetary astronomers recognize that the Kuiper Belt and Oort Cloud are littered with dwarf worlds lying still farther out, beyond Pluto. So while this little catch phrase is technically incorrect, it nevertheless captures the spirit of what New Horizons is about - the first-time exploration of a frontier world. 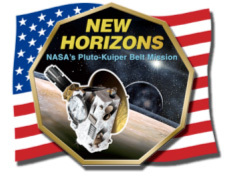 As New Horizons transforms itself from requirements databases, engineering drawings, PowerPoint presentations and software flow diagrams to boards, boxes and a spacecraft bus on the cleanroom floor at the Johns Hopkins Applied Physics Laboratory, I find myself filled with pride. The United States is making history for all humankind in building this craft and planning to set it forth on a journey that could forever be written in textbooks as the first exploration of a whole new class of bodies in a wholly unexplored region of the solar system - the Kuiper Belt. In the past month, the spacecraft has seen its high-gain antenna come aboard for an important fit check, and seen both its flight power system and main computer qualified and installed. The bird also received a guidance, navigation and control software load, and the first testing of the autonomy system (that provides for fault protection) has taken place. Coming soon to the spacecraft are the redundant flight computer, the gyros and the Ralph remote-sensing package. We are now approaching the time - only weeks away - when the last avionics box goes on the spacecraft and New Horizons is dressed in thermal blankets for environmental testing in a large vacuum chamber at NASA Goddard Space Flight Center. Last Friday, the 45-day public comment period opened for the mission's Draft Environmental Impact Statement - an important step in the National Environmental Policy Act (NEPA) and launch-approval processes. On March 29 and 30, NASA will host meetings in Cocoa, Florida, where the public can comment on the environmental impact Statement and learn more about the proposed mission and the steps NASA takes in deciding whether or not to conduct the launch. After these NEPA reviews, if NASA decides to proceed with the mission, the spacecraft will be ready for the January 2006 launch opportunity. But New Horizons won't be complete when all of the instruments and avionics are aboard, or even when the thermal blankets are dressed out. I remind myself, there is still a flag to be emblazoned on the spacecraft, symbolizing the pioneering nation that paid for this historic voyage of exploration.